Macro Dental World Pvt. 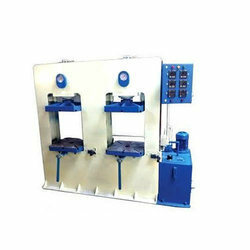 Ltd.
We are a technology-driven Manufacturer, Supplier, and Exporter of 40 Ton Hydraulic Press. 40 Ton Hydraulic Press is a finely engineered machine for applications such as forging, punching, deep drawing, metal forming, etc. 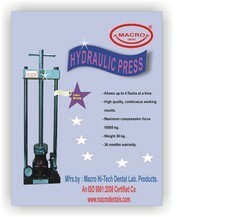 With robust construction, 40 Ton Hydraulic Press is easy to maintain for years. Customers can contact us for technical specifications. A. Americans Pipe Benders Co.
We are manufacturer All type of hydrolic presses.